I have not paid the invoice for my interent on time and it got cut off yesterday. And I could not post online my blog for yesterday. But is it really so complicated ? Is there really nothing that we as humanity can do about it ? The solution is actually very simple. We don't need geniuses to work it out. The only problem is that this simple solution is impossible to implement in real life unless humans change their priorities. At the moment we don't value life. Our ego and money is on the top of the ladder of our priorities. And this is the only problem. We say that it is all very complicated or impossible to do because we use it as an excuse to protect our ego. I say it again: "the solution for this global problem is very simple" but you don't want to see. We don't even have to build 1 billion new rooms for all of those people. What for ? I would say that we already have enough of rooms for most of everybody. It is just a matter of sharing with others what we have. The problem is that we simply don't want to share it and that's it. I give you an example. I live on a tourist island with about 200,000 beds in the hotels, apartments, bangalows etc. This is just one relatively small island and all over the world we have many places like this. Some of them are even few times bigger. And they have bathrooms, restaurants which are capable of feeding all of the people living there. The quality of them varies but still this is better than living on the street or under the bridge. It all looks like a big compromise because what would happen with all of the people who normally go on holiday ? Well... if you are concerned about your holiday, it means that you are still in a point of your life where you prioritize your ego over life. 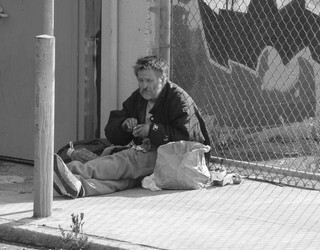 And as long as people give value to ego we will never be able to help the homeless people. I agree that in the beginning we would have to give up comfort of holidays and many other things. But if you really value life then you would not think even 1 sec about it. You would give up your holiday without hesitation. Wouldn't you do it for your children if they were homeless ?